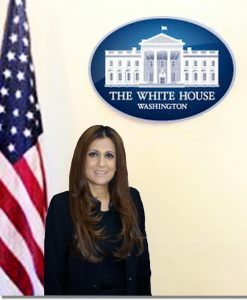 This past February Anila was a guest in Washington D.C. at the White House. She will share her extraordinary experience on the esteemed “White House Panel on Countering Violent Extremism”. Anila is a community activist. She is the President of AMWEC American Muslim Women’s Empowerment Council, member of the Board of Trustees for the Irvine Public School Foundation, the founder of Irvine Pakistani Parents Association and was a delegate to the 2012 Democratic National Convention. Anila is a member on the highly acclaimed “LA Pilot Program”. This group of esteemed law enforcement and community leaders shared their findings on the effectiveness of collaboration in building resilient communities. Bagels & Cream Cheese will be served.